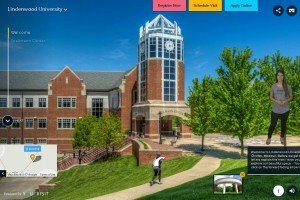 Lindenwood University is a test-optional institution. This policy stems from Lindenwood’s commitment to holistic review of all applicants and allows us to consider strengths other than standardized test scores, as we know numbers rarely tell a student’s full story. We provide students with the choice of whether or not they wish to submit their ACT or SAT test scores as part of their application for admission to our institution. Our goal is to open the door to a quality education for individuals who may not otherwise have the chance. This opportunity allows us to collaborate with high-achieving high school students who have showcased success, not only in the classroom but far beyond. This admissions practice aligns with Lindenwood’s mission and commitment to excellence to our prospective students! Below, you will find ‘frequently asked questions’ related to our test-optional policy. Lindenwood’s Office of Admissions is happy to assist with any additional questions. Please contact us today at (636) 949-4949 or by email at admissions@lindenwood.edu. How do I choose if I wish to be a test-optional applicant? Prospective students must notify Lindenwood University of their desire to be test-optional at the time of application. We have taken steps to ensure this information is clearly defined on our application and available to prospective students when applying. How will my application be evaluated if I choose to be test-optional? Lindenwood University is holistic in our application review. Applicants who choose to be test-optional will be evaluated in a similar manner as those applicants who submit test scores. This decision will have no negative impact. Factors such as high school record, academic rigor, co-curricular activities, community involvement, and additional achievements will be reviewed for all applicants. If I choose to apply as test-optional, will test scores be required at any point? Yes. Test scores will still be required for all students enrolling into the University. Lindenwood University will continue to use standardized test scores for placement, advising, and reporting purposes. Test scores can be obtained from an official high school transcript when available. If scores are not available on the transcript, the student will be required to submit official scores at time of the enrollment deposit. I am unsure if I should apply test-optional, what is your recommendation? We encourage students who feel strongly about their academic record and test scores to have them considered as part of the application process. However, if you feel your test scores do not accurately reflect your academic skillset or ability to be successful at Lindenwood University, we are happy to review your application without these scores factored into our evaluation. All application files are reviewed holistically regardless of a student’s decision to have test scores considered at time of admit. Can I change my mind after I have applied for admission? At time of application, all students must select if they wish to apply as test optional or with test scores. Once an application has been submitted, students are unable to reverse their decision. This allows Lindenwood University to remain consistent and timely in application review for all students. Are there exceptions to who can apply as test-optional? International students are required to provide test scores to indicate English proficiency. For questions regarding this policy, connect with International Admissions. Homeschooled students are required to submit test scores for admission. When did Lindenwood University become a test-optional institution? We implemented this opportunity for our fall 2019 class.